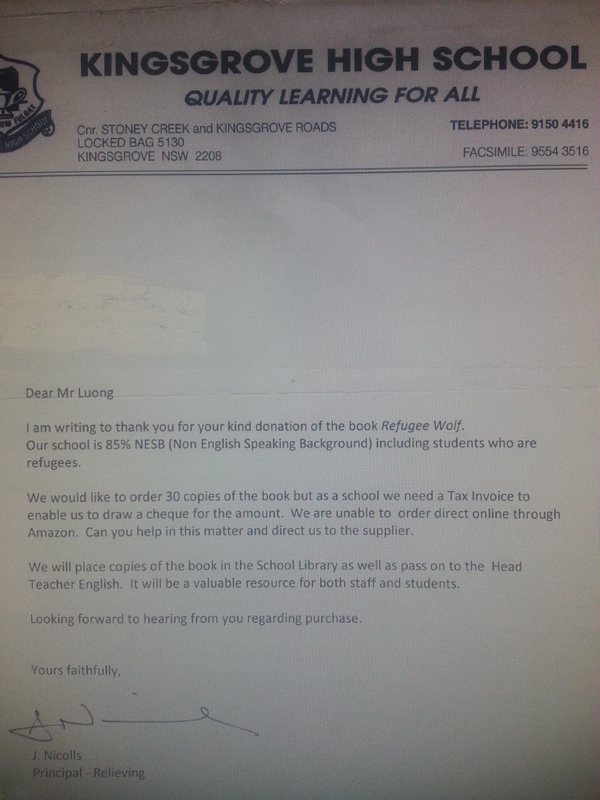 I forgot to mention that in July, Kingsgrove High School ordered copies of Refugee Wolf. They will add it their library as a teaching resource. I can’t thank them enough! ← Carmel Bird Great Oz writer endorses Refugee Wolf!